Over the years we have welcomed thousands of visitors to our facilities and have hosted events, training, workshops, and dialogues that convene and connect nonprofits that are working toward positive social change. 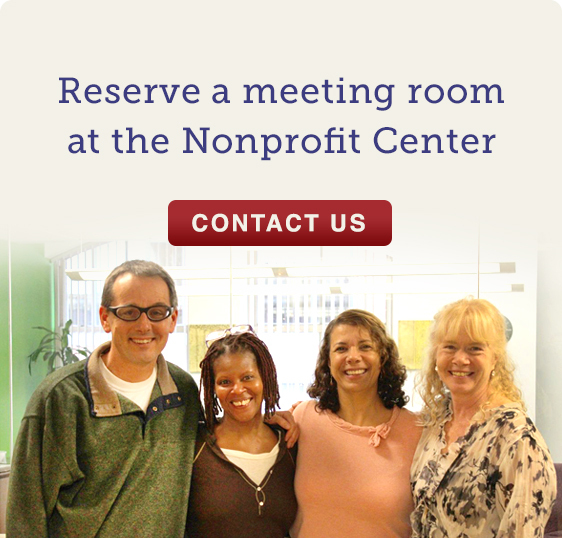 With offices and shared space options, The NonProfit Center boasts nine floors of rentable workspaces. It is a vibrant community of nonprofit organizations developed as a central place for nonprofits to work, socialize and network. The building aims to foster collaboration, promote learning, and enhance the organizational stability of its 50 tenant organizations and hundreds of visitors each year. Currently, The NonProfit Center has limited space availability. To inquire about available office space or to sign up for our tenancy wait list, please contact us. TSNE MissionWorks also operates The Link located in the heart of Kendall Square’s innovation district. The Link is a coworking, training, and event space built to catalyze workforce development in Cambridge. The Link weaves the Cambridge community together, providing residents with greater access to Kendall Square employers and career opportunities. The Link hosts a cluster of classrooms, technical education and meeting spaces to deliver a high impact set of training programs matched to the needs of Kendall Square employers and residents. Conceived as an approachable, professional space for job seekers and a resource for employers, The Link will become a cornerstone of economic opportunity in the region. The Link was championed and developed by the Cambridge Redevelopment Authority and Boston Properties as a workforce training and employment solution, in keeping with the entrepreneurial spirit of Kendall Square. TSNE MissionWorks operates The Link and welcomes a variety of organizations to use its event facilities, classrooms and meeting spaces for training, education, and gatherings. The Link is anchored by Per Scholas, a national IT career development nonprofit, and offers workspace to other organizations focused on workforce development and training. Visit The Link.